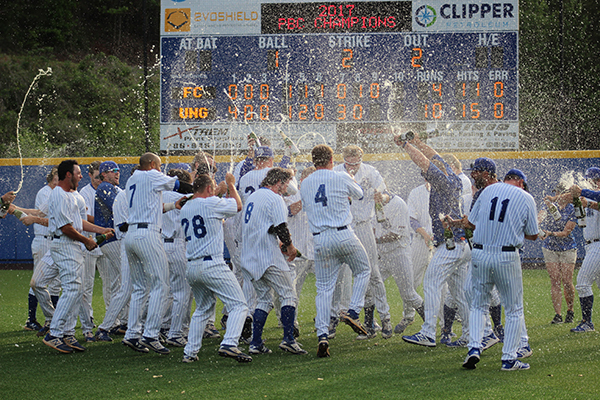 UNG's baseball team celebrates with sparkling cider after their defeat of Flagler College cemented them as the 2017 Peach Belt Conference Champions. 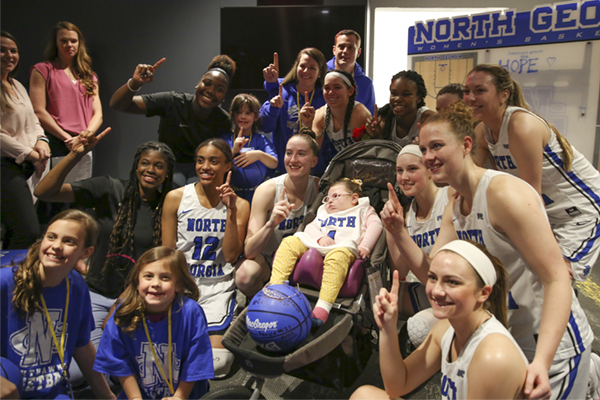 With four trips to the NCAA Division II postseason and a Peach Belt Conference (PBC) tournament championship, the University of North Georgia's (UNG) spring sports programs have achieved an impressive level of success. "It has been an incredibly exciting and rewarding spring season for us," said Lindsay Reeves, director of athletics at UNG. "The success our student-athletes have enjoyed was earned through hard work on the field and in the classroom, and we can't wait to see how they do in their post-season and tournament appearances." The second-ranked UNG baseball team claimed the PBC regular season title with a 10-4 win over Flagler College on April 22. The PBC regular season crown is the second in the past three years as the Nighthawks claimed their first ever title in 2015. The team will take on PBC tournament play beginning May 10 in Florence, South Carolina, and will later begin competition in the NCAA DII tournament; for more information, follow the baseball team's progress and schedule. "Each year in Division II is markedly different. 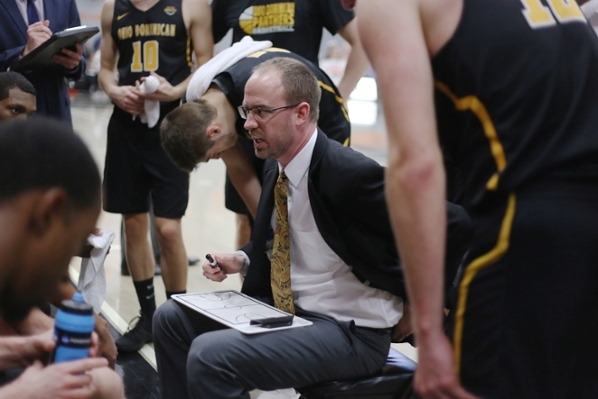 I think a large part of this team's success is due to their chemistry and investment into each other, which is the best I've ever seen," said Head Coach Tom Cantrell. "They really support each other, and are more concerned about the team than themselves as individuals. That kind of attitude has made it much easier to create the kind of team culture we want. We knew we had a good team coming into the season, and we had goals beyond winning the regular season championship; we hope to continue even farther on this journey we've started." The eighth-ranked UNG softball team won its fourth-consecutive PBC Tournament Championship after also claiming its fourth-consecutive PBC regular season title. This earned the team an automatic bid to the NCAA Division II Tournament, which begins May 12; the team is currently ranked No. 1 in the Southeast in NCAA Regional Rankings. For more information, follow the softball team's progress and schedule. Following its best regular season in school history, the No. 36 UNG women's tennis team was rewarded with its first-ever NCAA Division II postseason bid during the NCAA's selection show April 25. The fifth-seeded Nighthawks traveled to Columbus, Georgia, to begin play in the NCAA Division II Southeast Regional Tournament on May 1. The national tournament fields include 48 teams with 20 automatic qualifiers and 28 at-large invitees. To see upcoming matches for the women's tennis team, visit the schedule. The No. 13 UNG men's tennis team was selected for participation in the nine-team NCAA Division II Southeast Regional Tournament for the fourth consecutive year. The NCAA postseason appearance is the fifth in the past six years for the Nighthawks after registering the program's first in 2012. The team's 19 regular-season victories also set a new school record for single-season wins. The team began tournament play on April 29; to track the progress of the men's tennis team and see upcoming matches, visit the schedule. In its inaugural season of competition, the UNG women's track & field team placed fourth out of eight teams at the 2017 PBC Championship. The Nighthawks were able to make a move on the third day of the championship by scoring 32 points in just two events. UNG then claimed 22 points in the 800-meter race placing three Nighthawks in the top 10 and collected 10 points in the 5,000-meter with three more scorers. For more news and information about the team, visit the women's track & field homepage.